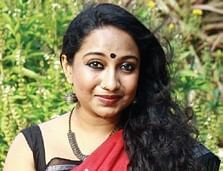 CHENNAI: How strange it was, her reaction to the story about the famous writer who had been pulled out of school in the 8th grade for bunking class to go to the cinema. “How sad,” she said, with sinceresympathy. “Poor child!” I said nothing, at least not immediately. She had forgotten, in the thrall of someone else’s life, her own daughter’s. She had pulled me out of school after the 6th grade, then the 8th, then refused to send me to college, then sabotaged my tertiary studies at least thrice. I never finished them. I am not a college drop-out in the cool sense of the word, not a genius who invented a software or sold an app or became a superstar. I am the other kind. This is not a special story. I meet them all the time: high-functioning, ambitious — even accomplished — adults like myself who carry the scars of family dysfunction. Families who made bad choices and blamed it on circumstances. Families who justified abuse, and forced their young into situations the latter should not know, so that they were raised half on their own sheer will and half on slow-release poison. More importantly, I meet scarred adults like myself who work hard to forge relationships with those same families. We do it out of love, yes, but we also do it because the alternative is an abyss of too much pain. So to all of us who try, I want to say: I see you, I know you. I’ve seen you at all the ages you have ever been. I see their layers glimmer beneath every brick you lay in a life of your ownassemblage, and I know what it has taken you and what it takes you every day. Redemption is not denial of all that came before. It’s only an extension of the sheer will through which that survival was — and is — managed. I am writing the future by force. The past is trauma, and trauma is memory. The present is a project, and that too will become memory. The ones we make today are the ones we’ll live with later. And wanting to live means having to try.